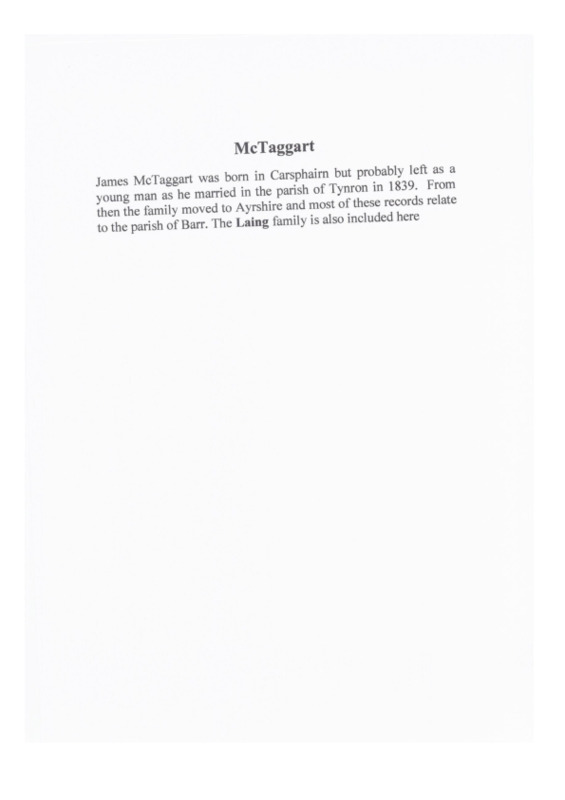 James McTaggart was born in Carsphairn but probably left as a young man as he married in the parish of Tynron in 1839. From then the family moved to Ayrshire and most of these records relate to the parish of Barr. The Laing family is also included here. IS, “McTaggart Family History,” Carsphairn Archive, accessed April 20, 2019, http://carsphairn.org/CarsphairnArchive/items/show/83.